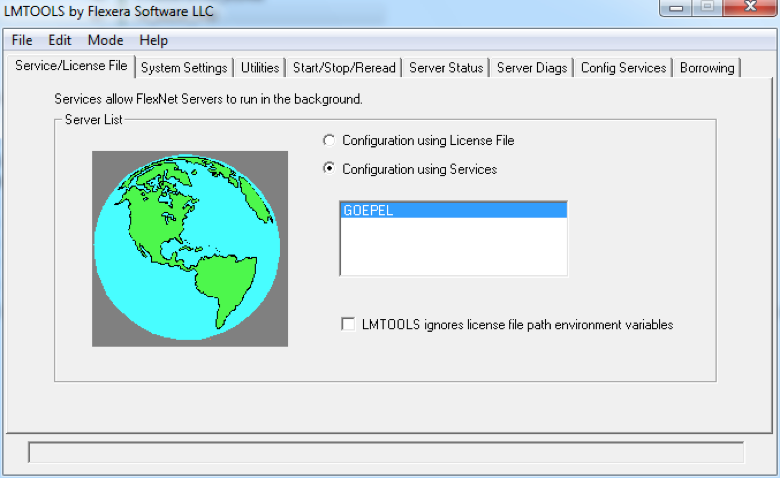 You can then send the hostinfo.txt file to the GOEPEL support team and we can generate the license file. Copy your CASCON flexLM license file (*.LIC) to that same folder on the server machine. There, start lmtools.exe on the server. Switch to tab “Config Services”. The Path to the debug log file (optional, but recommended). Check the “Start Server at Power Up” box. Check the “Use Services” box. Then, go to the “Start/Stop/Reread” tab, make sure your service is selected in the list at the center of the window, and click the “Start Server” button. Restart the flexLM Server machine. Once you know the flexLM license server is up and running: on the CASCON machine (PC running the CASCON software) start CASCON. In the License source window, enter the flexLM license server name (host name) or the IP number (host IP) of that machine. 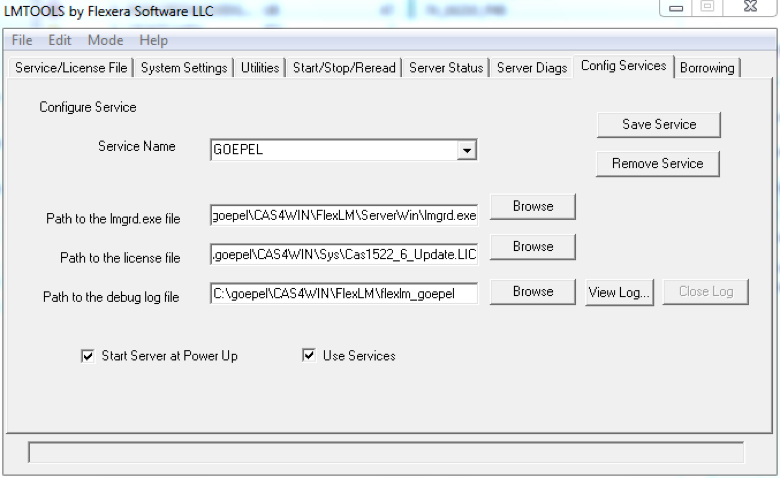 Should you run into issues where CASCON cannot see the license server, you could try adding a copy of the flexLM license file (.LIC) into the CAS4WIN\SYS folder.